Dalmatian toadflax is an emerging problem in Goshen County. For now, the problem is mostly in the southwestern portion of the county. However, able to spread by roots and by seed, this invasive and noxious weed has potential to wreak havoc on rangeland for recreation and grazing. ​Dalmatian toadflax, Linaria dalmatica, is a perennial weed originating from the Mediterranean region. Introduced into the U.S. as an ornamental, it has several weedy characteristics which make it highly invasive and difficult to control. Dalmatian toadflax is well-adapted to arid ecosystems with its extensive root system and waxy leaves. The waxy leaves are very thick, feel waxy, clasp around the stem, and appear a bluish-green color. Flowers are bright yellow and resemble snapdragons with an upper and lower lip and a long, downward-facing spur. Typically found in patches due to a spreading root system, single plants are not uncommon to find as this weed also reproduces heavily by seed since a mature plant can produce about 500,000 seeds per year and be viable for 10 years. Despite aboveground growth only being 1-4 feet tall, the roots of Dalmatian toadflax can be 4-10 feet deep and have lateral roots of over 10 feet from the main taproot. 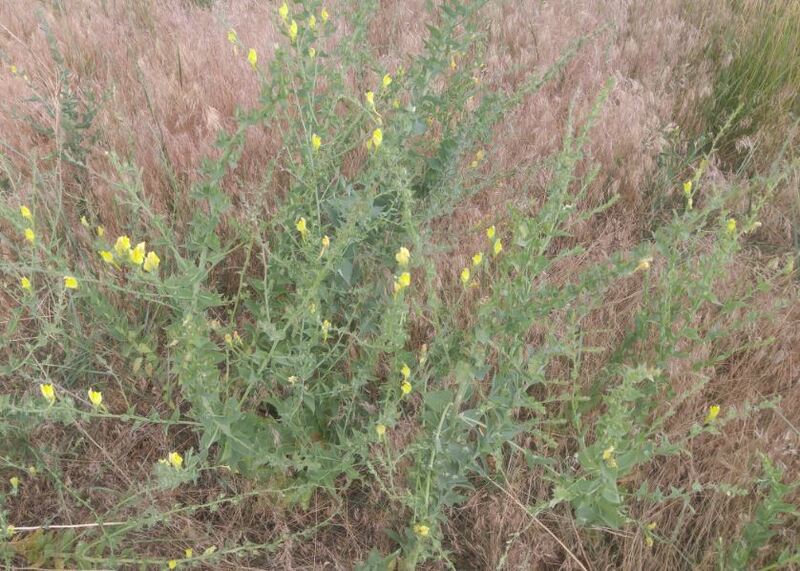 GCWP offers spraying services for landowners who have dalmatian toadflax on their property. The funding for these spray operations is a joint effort between GCWP and the Wyoming Department of Agriculture Pesticide Registration Fee grant program. Since 2014, over 7,500 acres have been treated by chemical application. Most of this has been done with aerial application. We will continue to treat large acreages by aerial methods, yet smaller, spot treatments will be necessary to prevent further spread. ​Chemical and labor used to control this weed is cost-shared on a 50% basis with the landowner on a first-come, first-serve basis up to the limit of the grant. If dalmatian toadflax is on your property, please contact us so we can begin the treatment process. The acreage involved in dalmatian toadflax control is referred to as Area 5 within the CRM. 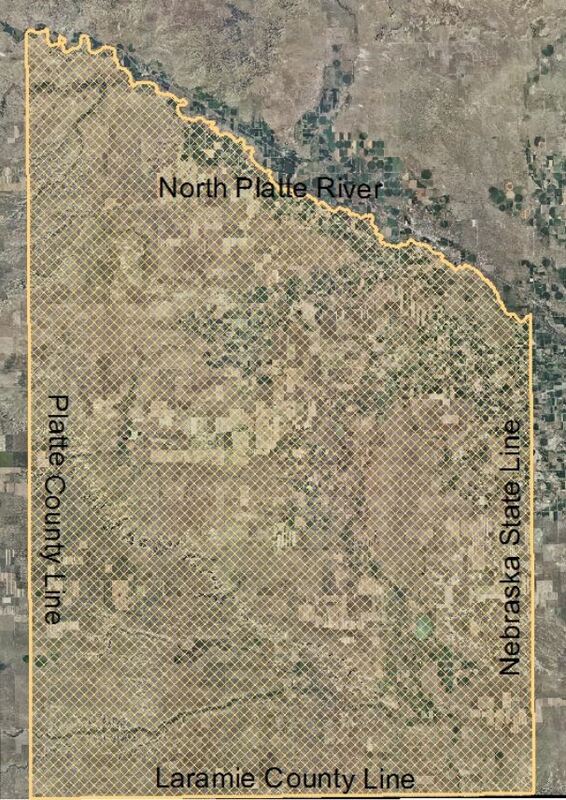 Area 5 covers all acreage south of the North Platte River.